» Is There Such Thing as a Squirrel Mating Call? Squirrels are small to medium sized rodents, indigenous to America, Eurasia and Africa, closely related to the mountain beaver. There are estimated to be more than two hundred different species of squirrels spread around the world with the notable exception of Australia, to which they were introduced by humans. Amongst these species, there is great variety and notable differences, largely related to each particular species living environment. To illustrate this point easily, one can compare the ground squirrel with the flying squirrel species. While the latter does not really fly, they are able to move across the sky in short distances. They tend to live in nests or tree holes, much like birds do. In contrast, much like their name iplies, ground squirrels spend the majority of their lifetime on the ground. 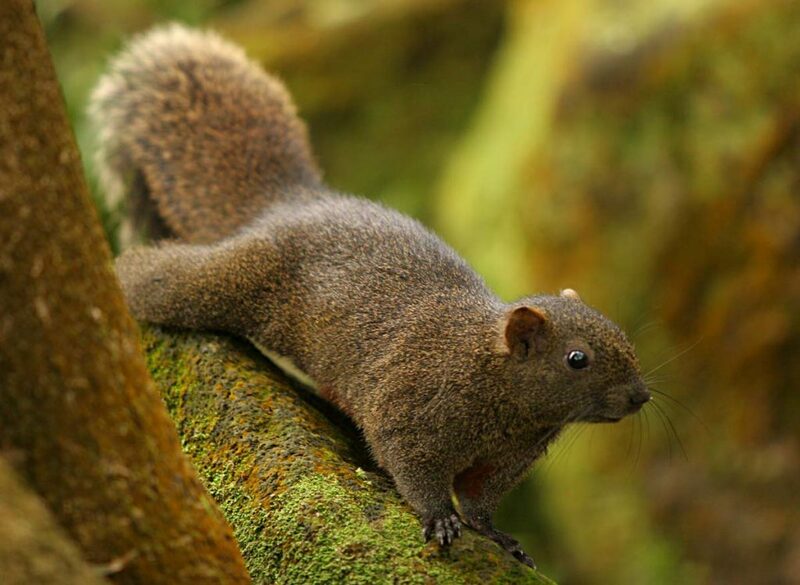 The most commonly recognized species is that of the tree squirrels. These rodents can often be seen gracefully jumping from branch to branch, are terrific climbers and can be encountered from woodlands all the way to city parks. While squirrels do not have a language the way we humans do, they do make some calls regularly that could give that false impression. It is a mistake to consider these calls to be the equivalent of words, however. They are more similar to signals, much like they instinctual response a human would make when responding to danger, surprise or shock. Of course, these calls have variations in the way they sound as well as their meaning. For example, a simple alarm call which could signify the presence of a dangerous predator could be later followed up by a progression of calls that would imply the squirrel can see the predator no longer. In any case, despite the differences in these calls' meanings it is fallacious to attach anthropomorphic descriptions to behaviors of lower animals. Notably, it has been proved that sounds produced by squirrels can be understood by even distantly related squirrel species. This, however is not a first, as scientists have established that many animals are capable of producing interspecific calls. Much like how it is fallacious to interpet squirrel calls under anthropomorphic lenses, it is fallacious to consider squirrel mating habits have shreds of romanticism in them – they are anything but romantic, and squirrels never mate for life, nor form long lasting relationships. Moreover, both squirrel genders are polygynandrous – in other words, both males and females may mate with several different partners. Whenever a female squirrel becomes ready for copulation, she starts producing a scent that quickly attracts male potential mates to gather around her. Usually, the strongest, most dominant male ends up copulating with her first. The rest of the male squirrels patiently wait for theit run, and after they are done, they leave the female take on the full responsibility for parental care of the offspring. Male competition, usually takes place as follows. The female squirrel quickly runs off encouraging the males to catch her before they mate with her – thus making sure only fit enough male squirrels can impregnate her. Other than making sure they catch the female, males have to make sure they do not fall prey to other males' attacks. A reproductive strategy that is often encountered in some squirrel species is that of mate guarding. Basically, the male stays in close proximity to the female, after he has successfully copulated with her, in order to fend off any other males trying to mate with her and thus avoid sperm competition. So, where do mating calls fit into our previous description of the squirrel mating process? They do fit, and they do fit nicely – they are, in fact, vital to the whole process. Male squirrels actively signal to the female that they are interested in copulating and that they do not present a threat. Interestingly, they do this by imitating the sounds of baby squirrels. Their mating call is thus completely different than the usual screeching sounds they make in cases of territorial conflict. The sound is really similar to a rapid series of stiffled sneezes. 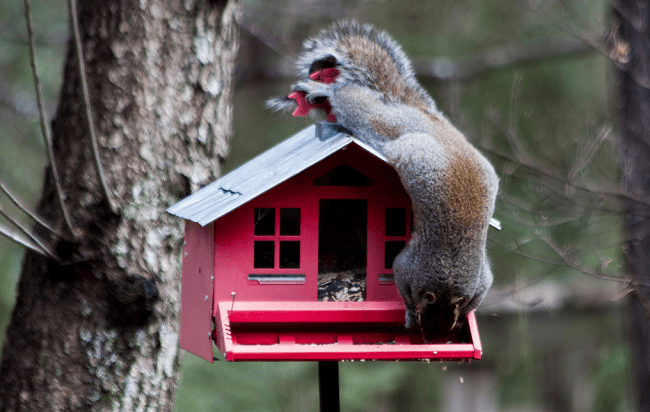 Aggression: Squirrels tend to settle in areas rich with food sources. When an intruder invades their home territory, they try to advertise their presence through aggressive screeches that aim to dissuade and discourage the intruder. Hunger: These calls are produced by baby squirrels calling their mothers for nourishment. As they get older, the sounds changes, going from squeaks to growls and finally settling in small, short screams. Alarm: Whenever a squirrel spots a potential predator above their abilities, like a cat or hawk, they produce alarm calls. This is to signify the predator’s presence to other squirrels and eliminate the element of surprise. There are inner variations of this type of call, with some best described as low intensity buzz sounds and others sounding like long lasting bark sounds. In this article, we peaked behind the veil of the squirrel and took a glimpse of their society, mating habits. We discovered that they do have some sort of communication, which is unlike the human language and more like a one way signal communication method. Squirrels do not hold conversations. They produce sounds in response to situations. One such sound is their mating call. As we described, the male squirrels produce this sound in order to signify their interest to mate with the female in heat and disarm her of doubts on whether they pose a danger to her and her offspring. This, however, is but the first step in the complex mating process of squirrels. The male still has to compete and outperform their competition in a female squirrel induced, dangerous chase in order to successfully copulate with her.